Non-locality, Einstein's ''spooky action at a distance," has been observed between quantum objects separated by more than one kilometer. Recent years have seen a major advancement in the quest for non-local systems. Researchers from the Faculty of Physics, University of Warsaw, present a novel and versatile method for creating and detecting such correlations in a many-body system of ultra-cold atoms. They have published their results in Physical Review Letters. Quantum mechanics was formulated in the first half of the 20th century. Its predictions have been confirmed in a number of experiments and applications ranging from computer chips to lasers used in medicine. '"Though the quantum theory is commonly accepted, some of its aspects are still controversial. For instance, states in superposition are described as if they were in many places at once. This has no counterpart in the classical world and is difficult to interpret. Entanglement—quantum correlation between physical objects—also cannot be compared with everyday life experience," says Jan Chwedenczuk (Faculty of Physics, University of Warsaw). For many researchers, the most relevant aspect of quantum mechanics, at least from the philosophical point of view, is non-locality. People find it difficult to accept that events taking place in distant galaxies could infinitely quickly influence something happening on Earth. However, quantum theory allows for such non-local phenomena. Imagine a pair of shoes, two boxes and a random number generator—the shoes are distributed among the boxes according to the result of the draw. Afterward, one box is sent to Mars, while the other remains on Earth. Without opening the boxes, common sense holds that if the left shoe is on Earth, the right shoe is on Mars, and vice versa. In the classical realm, one of these possibilities is determined at the moment of the generation of a random number. Quantum mechanics describes this situation in such a way that both possibilities exist simultaneously. Moreover, local manipulations of one of the boxes will immediately affect the other, no matter how distant they are. We say that quantum mechanics is a non-local theory. Only after the measurement is made and the boxes are opened is the state of each shoe determined. This example serves merely as an illustration—such subtle effects are observed at the atomic scale. Nevertheless, the mere possibility of ''steering'' one system with the other, without any direct interaction, drove Einstein and his coworkers to write a paper titled "Can quantum-mechanical description of physical reality be considered complete?" Nearly 30 years later, a Northern Irish physicist John Bell proved that the predictions of quantum mechanics contradict the postulates of local realism, which assumes that objects have well-determined properties (realism) and their behavior is influenced by what is happening in the vicinity (locality). Bell gave a prescription for detecting the non-locality in simple physical systems. This method is now called the Bell inequalities. 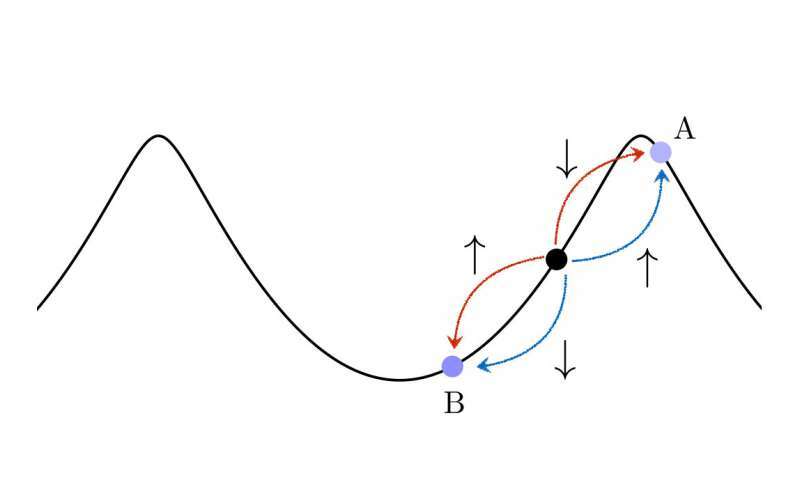 In their recent publication Tomasz Wasak and Jan Chwedenczuk considered a complex many-body quantum system, showed that it reveals non-local properties and finally gave an experimentally useful method for detecting such correlations. The system is a Bose-Einstein condensate of helium atoms, illuminated with two counter-propagating laser beams. In such configuration, helium atoms collide and scatter into opposite directions, forming a non-local pair. "The scattered atoms are the analog of the pair of shoes. Similarly to this example, one can manipulate each atom locally and perform measurements to find out if the non-locality is indeed present in this system," says Jan Chwedenczuk.